Dieses Angebot wurde vom Verkäufer beendet, da der Artikel nicht mehr verfügbar ist. Wake up to a more youthful you each morning. 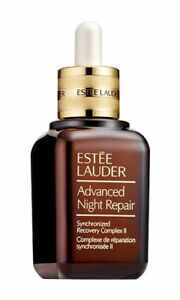 Estee Lauder�s Advanced Night Repair MPN 202966369 cream maximises your own natural night-time renewal power to replenish and hydrate your skin. The Synchronized Recovery Complex II with exclusive ChronoluxCB Technology reduces the appearance of lines and wrinkles overnight and leaves the skin looking hydrated and radiant. The 50 ml gift box set comes in Estee Lauder�s CLEAN fragrance. Es sind 10 Artikel verfügbar. Bitte geben Sie eine Nummer ein, die kleiner oder gleich 10 ist.